Guardians of the Galaxy is already a guaranteed hit after its massive $94 million opening weekend, but if you're pondering another trip to the multiplexes this weekend, you may want to consider seeing this Marvel Phase Two adventure in IMAX. 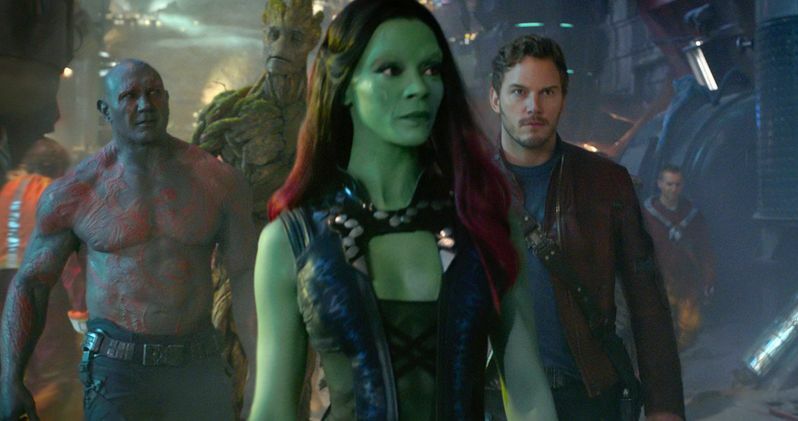 Stars Chris Pratt, Zoe Saldana, Dave Bautista and director James Gunn explain why this movie was crafted specifically for IMAX theaters in a new featurette, which also includes plenty of footage, in case you were one of the few who didn't see it last weekend. On top of all that, we also have a new TV spot which boasts that Guardians of the Galaxy "saved the summer," a declaration that may be quite accurate if this sci-fi adventure continues to take the top spot for the next few weeks.